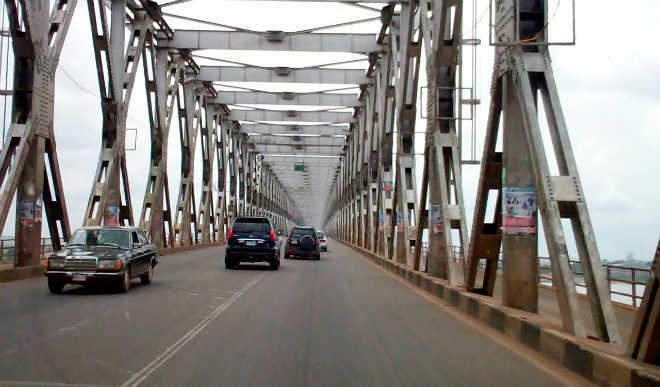 Residents around the Asaba end of the River Niger Bridge were thrown into pandemonium on Friday following the discovery of a strange object suspected to be an Improvised Explosive Device (IED) otherwise known as bomb. Excavators who were digging a foundation for the perimeter fencing of the ‘C’ Divisional Police Station of the Delta State Police Command. The discovery of the suspicious object threw the workers and the entire neighborhood into confusion, as some persons scampered for safety for fear of the unknown. Confirming the discovery, however, the state Commissioner of Police, Mr. Anthony Ogbizi told our correspondent on phone that men of the Bomb Disposal Unit of the command have already evacuated the suspicious object for analysis. Mr. Ogbizi allayed the fears of residents, saying that the result of analysis showed that the object was no longer active, and as such, impotent. “The bomb was discovered by the people digging the foundation, and our men from the bomb disposal unit evacuated it for analysis. But we discovered that the object is no longer active. It is therefore impotent and no threat to lives or property. “So,we are just going to destroy it. I appeal to be people in the area to remain calm. Also, motorists plying the River Niger Bridge should have no cause for alarm as our men at alert to detect any attempt to destroy the bridge,” Ogbizi said. Our correspondent learnt that the suspicious object is unused explosive device that was probably buried during the Nigeria Civil War between 1967 and 1970 when Asaba was a battle field. But to transform the ‘C’ divisional police station located close to the River Niger Bridge, there are efforts including the construction of perimeter fencing, to upgrade the infrastructure.